Together, Ithaca College and Four Kitchens have been awarded four 2018 W³ Awards for the update to Ithaca’s website. 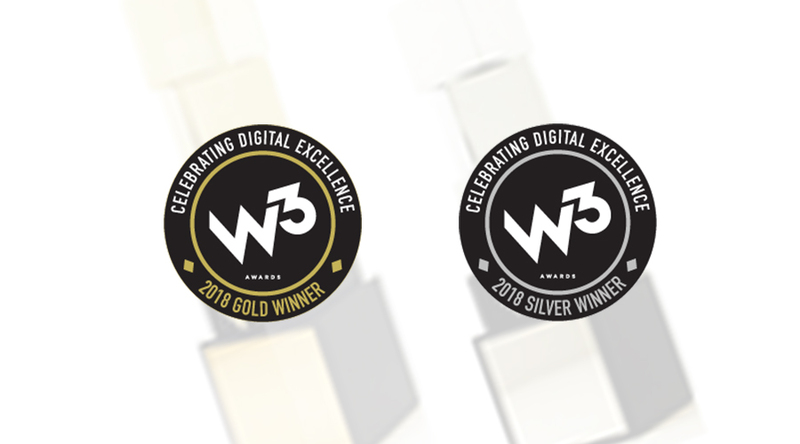 The W³ Awards celebrate digital excellence by honoring outstanding Websites, Web Marketing, Video, Mobile Sites/Apps & Social content created by some of the best interactive agencies, designers, and creators worldwide. In its thirteenth season, the W³ Awards received over 5,000 entries from Advertising agencies, PR Firms, Interactive Agencies, In-house creative professionals, Web Designers, Graphic Designers, and Web Enthusiasts. Entries are scored on a 100-point scale by the judges. On average, less than 10% of all entries will be selected as Gold Winners. Other outstanding entries will be Silver Winners. A well-deserved round of kudos goes to the team. As a Team Augmentation project, the success of this project was made possible by the dedicated work and commitment to excellence from the Ithaca College project team. The leadership provided by Dave Cameron as Ithaca Product Manager, Eric Woods as Ithaca Technical Lead and Architect, and John White as Ithaca Dev for all things legacy system related was crucial in the project’s success. Ithaca College’s Katherine Malcuria, Senior Digital User Interface Designer, led the creation of design elements for the website. Ithaca Dev Michael Sprague, Web Chef David Diers, Architect, as well as former Web Chef Chris Ruppel, Frontend Engineer, also stepped in for various periods of time on the project. 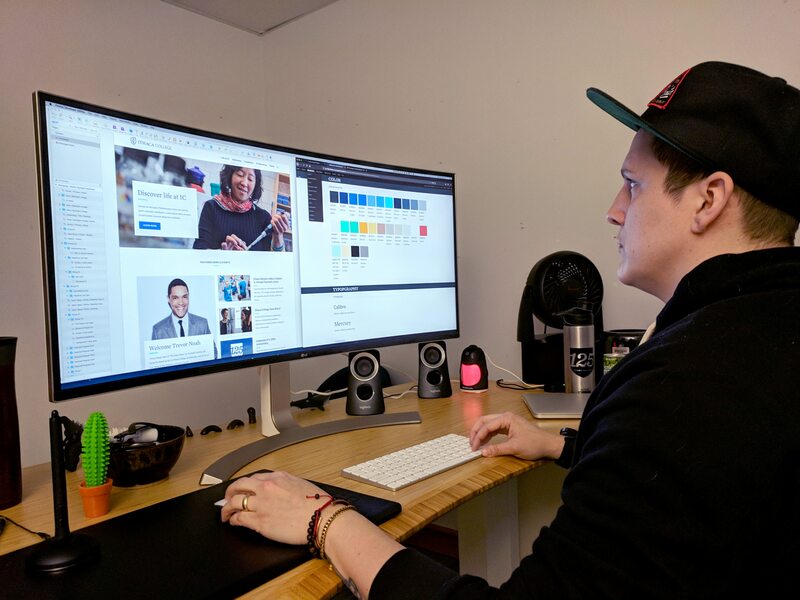 At the tail end of the project Web Chef, Brian Lewis, introduced a new baby Web Chef to the world, therefore the amazing Randy Oest, Senior Designer and Frontend Engineer, stepped in to assist in pushing this to the finish line from a front-end dev perspective. James Todd, Engineer, pitched in as ‘jack of all trades’ connoisseur helping out where needed. The Four Kitchens Team Augmentation team for the Ithaca College project was led by Brandy Jackson, Technical Project Manager, playing the roles of project manager, scrum master, and product owner interchangeably as needed. Joel Travieso, Senior Drupal Engineer, was the technical lead, backend developer, and technical architect. Brian Lewis, Frontend Engineer, meticulously worked magic in implementing intricate design elements that were provided by the Ithaca College design team, as well a 3rd party design firm, Beyond, at different parts of the project. A final round of kudos goes out to the larger Ithaca project team, from content, to devOps, to quality assurance, there are too many to name. A successful project would not have been possible without their collective efforts as well. The success of the Ithaca College Website is a great example of excellent team unity and collaboration across multiple avenues. These coordinated efforts are a true example of the phrase “teamwork makes the dream work.” Congratulations to all for a job well done! What’s been happening around Four Kitchens?